Afraid your La Croix addiction is harming your teeth, bones, or gut? Here’s what the science says. 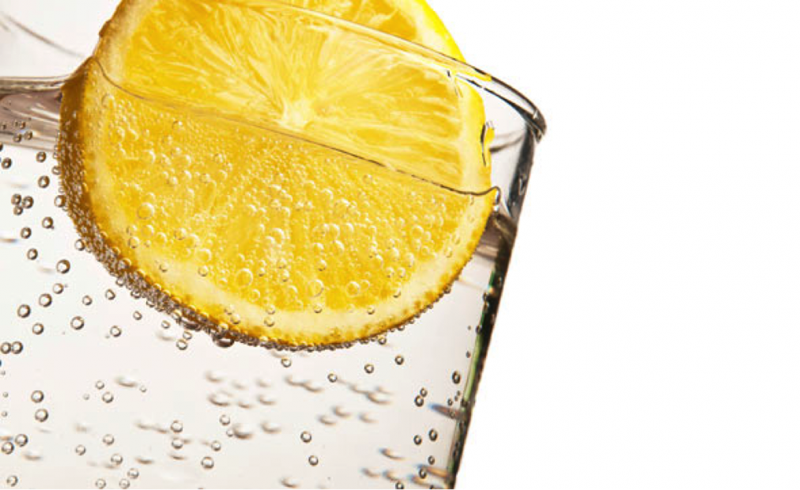 If you’re looking to quit your soda habit, sparkling water seems like a natural fit. In fact, the drink aisle at your local grocery store probably has just as many sparkling water options as soda. With fun and inventive flavors popping up across a variety of brands (blackberry cucumber, anyone?) even those who don’t drink soda may be intrigued enough to jump on the sparkling water bandwagon. But some people (scientists included!) have started to ask questions about whether or not these drinks are any better for you than any other sugary, fizzy beverage: Is sparkling water bad for your teeth? What about your digestion? How exactly does it impact your hunger levels? Before you sip some down, here is everything you need to know about the health effects of sparkling water. Sparkling water seems simple enough—water that is carbonated, right? Not so fast, according to Christy Brissette, MS, RD, President of 80 Twenty Nutrition in Chicago. “There are different types of sparkling water and those differences can be confusing. Just a few types include sparkling mineral water, seltzer, club soda and tonic water,” she says. Essentially, all of these beverages get their fizzy consistency from carbon dioxide. Sparkling mineral water has naturally-occurring gases that cause carbonation, and it may have some carbon dioxide added for a bubblier effect. This variety also contains natural minerals, like salts and sulfur compounds. Seltzer water is just water with carbon dioxide and may contain flavoring. Club soda has more minerals than mineral water, like sodium bicarbonate, sodium citrate, potassium sulfate, and disodium phosphate. Tonic water contains added sugars. Why does sparkling water have a bad reputation? Some older research also depicts a correlation between carbonated beverages and poor bone health, says Kelly Jones RD, CSSD, LDN. Lastly, sparkling water is thought to be less hydrating than flat water and may potentially increase hunger hormones. A study in rats—which also included a follow-up in 20 college-aged men—found that drinking carbonated water increases production of ghrelin, a hormone that makes you feel hungry. So, is sparkling water good for you, or bad for you...? The argument against sparkling water seems strong, but the science tells a different story. There’s plenty of research pointing to the fact that the claims against sparkling water aren’t completely true, and even the Centers for Disease Control and Prevention (CDC) recommends swapping in sparkling water in place of sugar sweetened beverages. With that, let’s clear up some of the confusing health claims regarding sparkling water. The very nature of adding carbon dioxide to water lowers the pH of the beverage, and many worry that the acid will promote tooth decay. A study in the International Journal of Pediatric Dentistry found that the pH in flavored sparkling waters is between 2.7 and 3.3, which is potentially erosive. The problem is that there aren’t many long-term studies evaluating the effects of sparkling water on tooth enamel. However, the American Dental Association says sparkling water is “generally fine” for your teeth, but they do caution people to be mindful about any additives that may increase the acidity in the water, like lemon juice, for example. Too much added sugar (read the label!) can also contribute to tooth decay. When in doubt, use a straw. It was long believed that the acidity in carbonated water eroded bones and may have even caused osteoporosis. However, most of that research used soda, which contains the highly acidic phosphoric acid. 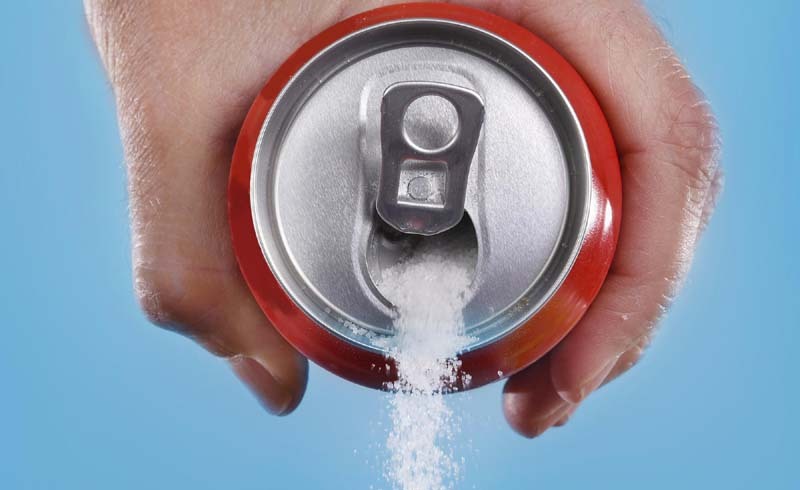 “It is now more accepted that while soda intake is correlated with low bone density in women, other carbonated beverages do not show this association,” says Jones. Another study demonstrated that drinking 1 liter of sodium-rich carbonated water does not affect bone health in post-menopausal women. While some studies suggest that carbonated water may increase hunger hormones, others suggest that it may contribute to a feeling of fullness. Research published in the Journal of Nutritional Science and Vitaminology found that drinking carbonated water lead to a short-term satiating effect, and a later study validated these results. While sparkling water may cause gas and bloating issues for some, research suggests that it can help relieve constipation in others. A recent study in those who suffer from functional constipation showed that drinking 1 liter of carbonated natural mineral water for three weeks improved the frequency of bowel movements. A later larger study mimicked these same results. But those who already suffer from GI issues, like IBS, may want to think twice before breaking open a bottle. “I’d advise individuals to pay attention to their gastrointestinal function; if it makes them feel bloated or gassy when drinking it regularly, it may be a good time to cut back,” says Jones. One of the common questions surrounding sparkling water is whether or not it hydrates as well as flat water. “Some people tell me they truly don't enjoy drinking plain water, but sparkling water can fit well into any hydration plan,” says Jones. A randomized trial in the American Journal of Clinical Nutrition assessed the hydration status of men after drinking one liter of sparkling water as compared to water and found that both options hydrated the men equally. “I recommend sparkling water to my clients who are drinking lots of soda as a great way to transition away from sugar and/or artificial sweeteners,” says Brisette. Both dietitians suggest choosing plain varieties or adding your own fruit or frozen fruit for flavor. “You can drink sparkling water all day every day as long as it doesn’t lead to gas or bloating,” says Brissette. “I don’t see a reason for the majority of people to hold back on sparkling water, but I wouldn’t recommend it immediately before and during moderate to high-intensity exercise, since it might cause gas,” says Jones.